In relations to an international competition launched by the Utzon Center, Line Nørskov Eriksen gives a lecture about the Danish architect Jørn Utzon’s (1918-2008). 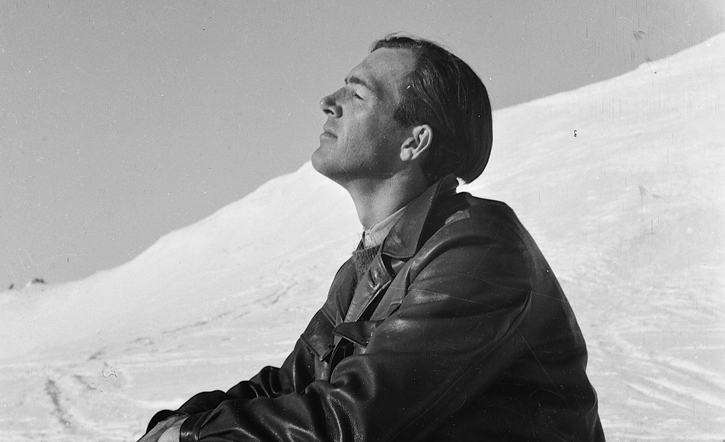 Throughout his life, Jørn Utzon insisted on the absolute importance of architecture. According to Utzon, architecture was not just a passive backdrop for people’s lives, but a form of art purposed to organise and mediate the experience of dwelling authentically, poetically. He was brilliant and uncompromising in his work, and this was partly why so many of his projects remain unreleased. The competition invites young creative talents to reimagine Utzon’s working drawings for some of his unbuilt works. The competition, UNBUILT, sets out to shine some light on dignified and meaningful projects that never left the drawing board. For the purpose of the competition, Utzon Center is opening up a treasure chest of his designs hidden in his personal archives inviting today’s talents to analyse, interpret and visualise design of significant projects using digital drawing tools. As an introduction to the competition, the lecture will offer an in-depth conversation about the architectural intentions that underpin the work and manner by Jørn Utzon. We shall be discussing the way in which his approach evolved, his sources of inspirations, experiences of influence and works of significance. For more information about the competition: www.utzoncenter.dk/unbuilt. Line Nørskov Eriksen holds a MSc Eng Arch from Aalborg University (2012) and has previously worked as an architect for Jaja Architects, Denmark (2012), and as an architectural assistant for Sou Fujimoto Architect, Japan (2010). She has been awarded a PhD in architecture (2017) from Portsmouth School of Architecture, University of Portsmouth, England. Her research focuses on the Danish architect Jørn Utzon, specifically his personal archive and the critical and creative significance of his travel studies. Today she is Head of Exhibition at the Utzon Center, Aalborg, with exhibition projects in Denmark and abroad.